It’s easy to dismiss social media as a silly frivolity for kids and adults with nothing better to do, but the fact of that matter is that social media is a major influence on most people’s lives in the digital age. Love it or hate it, a business needs to use social media to stay competitive in the current business landscape. Want to reach new customers? Need to put your product or service in front of new eyeballs so you can increase sales and become more secure? There are plenty of ways to do this, but social media is definitely one of the easiest. The ways we use social media are always evolving, and even in this year alone we’re likely to see a bunch of new trends for how we can use this tool to reach new audiences. It’s hard to justify ignoring this kind of advertising. There’s something unique about every company, but getting that point across in an authentic way can be difficult. So many brands have managed to make a niche for themselves online by using social media in the right ways to express their voices and make their unique strengths crystal clear. While having a good website and a high-quality blog can make a huge difference in your web success, having your own social presence takes things to the next level. Plus, registering your business name before anyone else can is an important part of protecting your brand. Social media platforms are the public forums of our era, and a post from a customer with even 50 followers is the modern-day equivalent to a carnival barker singing your praises on a crowded street. This kind of word-of-mouth exposure is difficult to gain if your customers can’t tag you or retweet/repost the things you’ve already provided for them. When you’re active on social media, even if it’s just to post a picture of some of your products or say something about your services a few times a week, you make yourself available to customers. That kind of availability in turn allows the people who like what you do to become your own built-in marketing team. Staying connected to your customers can make a big difference in loyalty and long-term success. Most consumers want to be able to quickly get in touch with the brands they love, whether it’s to complain, seek help or give praise. 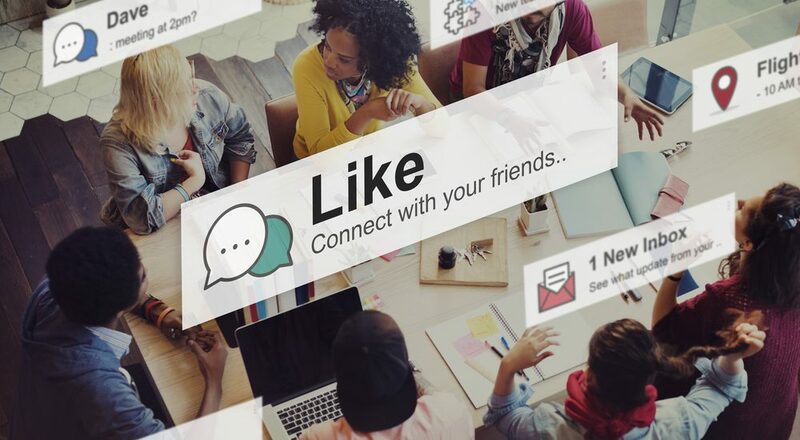 Social media makes it quick and easy for customers to get in touch, and while that can be a bit of a double-edged sword when something goes wrong, ultimately, it’s important to have that direct connection. Using social media as a business can be tricky. You’ve got to understand your audience and say the right things to get noticed in the right ways. If you’d rather focus on other aspects of running your business and driving toward success, let a proven marketing expert take the reins and steer you on the right social path.